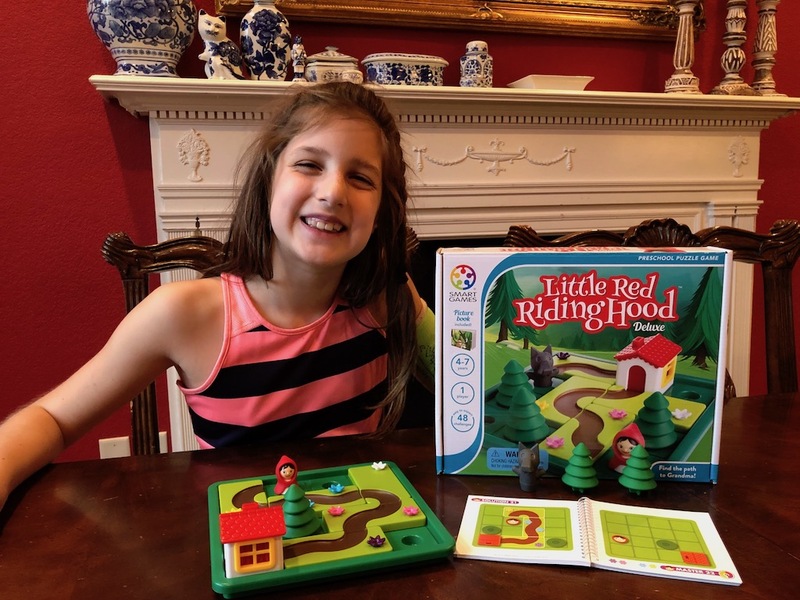 Since January is “International Brain Teaser Month,” now is the perfect time to review Little Red Riding Hood, another Smart Game I ordered through Timberdoodle for my little ones. This set is a little more challenging than the Three Little Piggies I reviewed a few days ago. Consequently, you’ll note a slight shift in the suggested age range for Red Riding Hood. It’s recommended for ages 4-7, althugh my 8-year-old Abigail loves it, too. Fortunately, this single-player thinking game can be worked single-handedly, too. 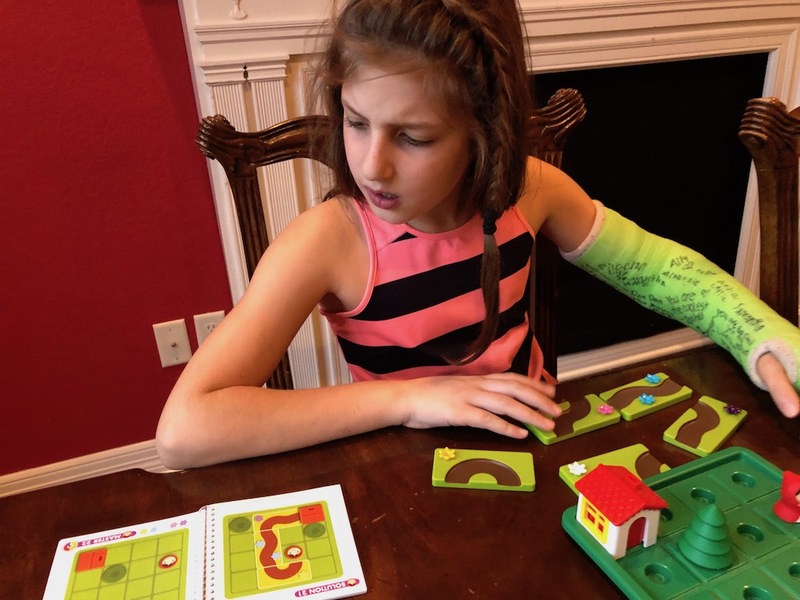 Her arm may atrophy a bit while the bone is healing, but her brain will get a good workout! 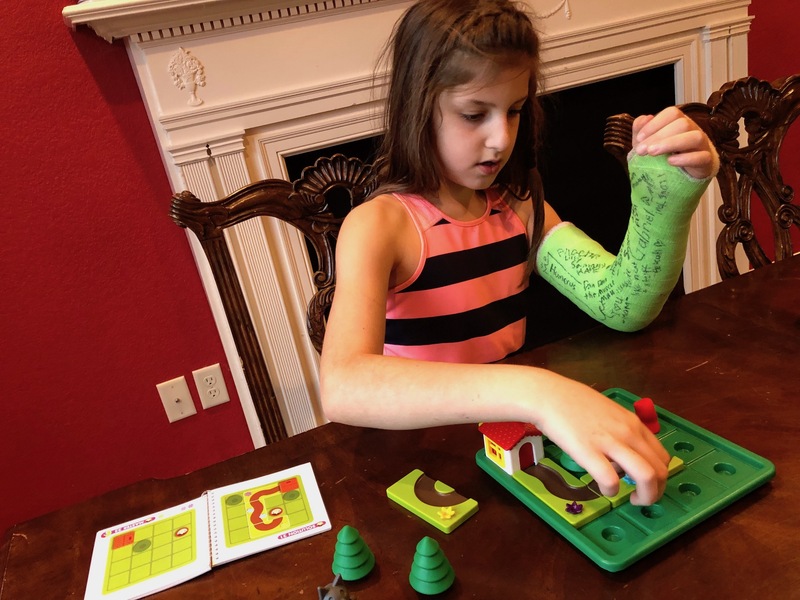 None of the challenges have completely stumped her (yet). But some of them have taken multiple attempts before she gets it right. 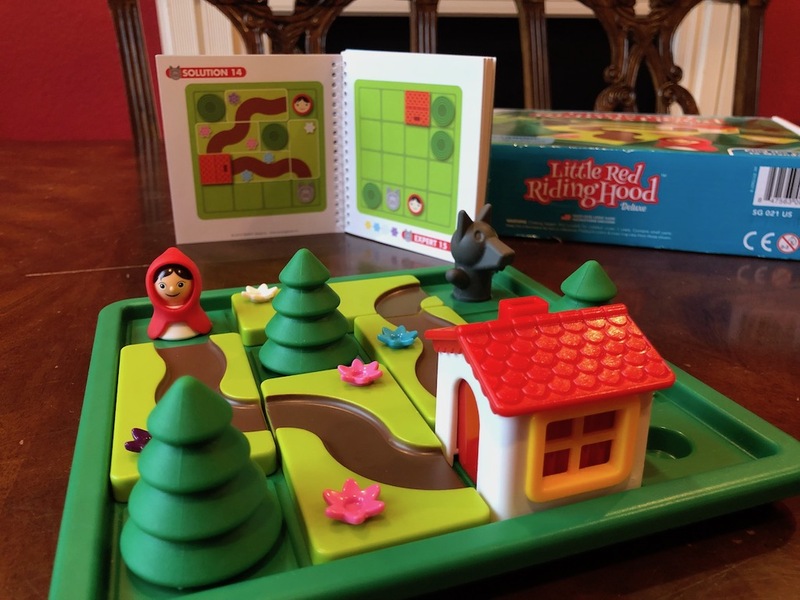 The point of the game is to lay a trail that will lead both Red Riding Hood and the wolf (when he’s on the board) directly to Grandma’s house. You’ve got to make sure the trail bypasses any trees on the board. And it must end at a door to Grammy’s house (not a window). 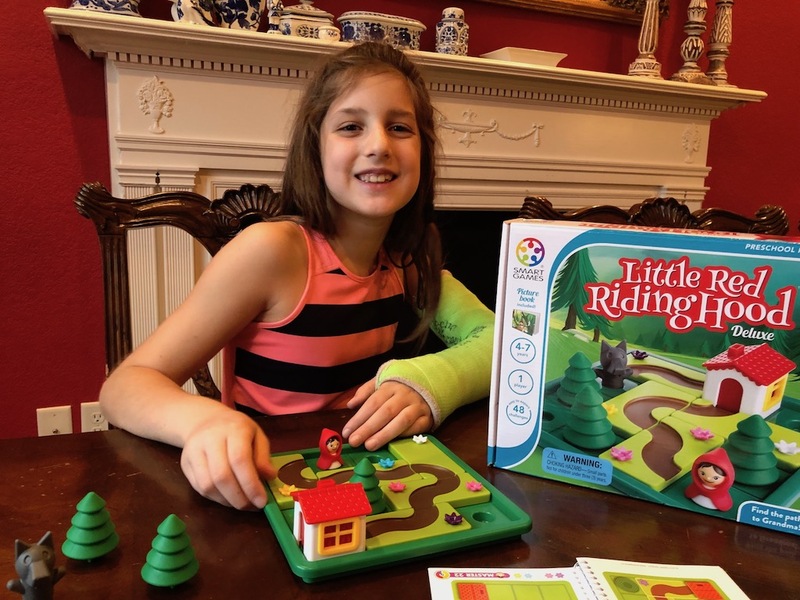 Like the other fairytale games in this series, Little Red Riding Hood features brightly-colored, chunky pieces. They are delightful to look at and easy to handle. 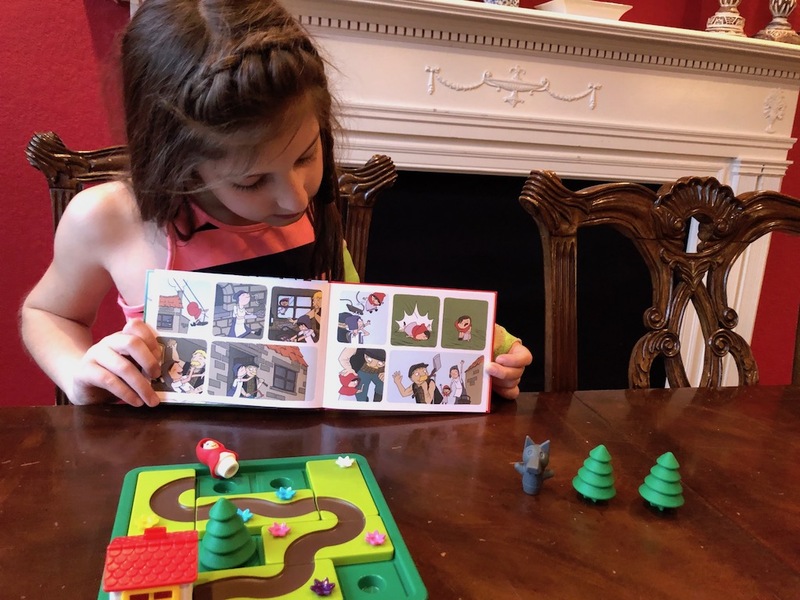 The set also includes a wordless book, so kids can retell the classic story using as much or as little detail as they wish. This makes a great language building activity! 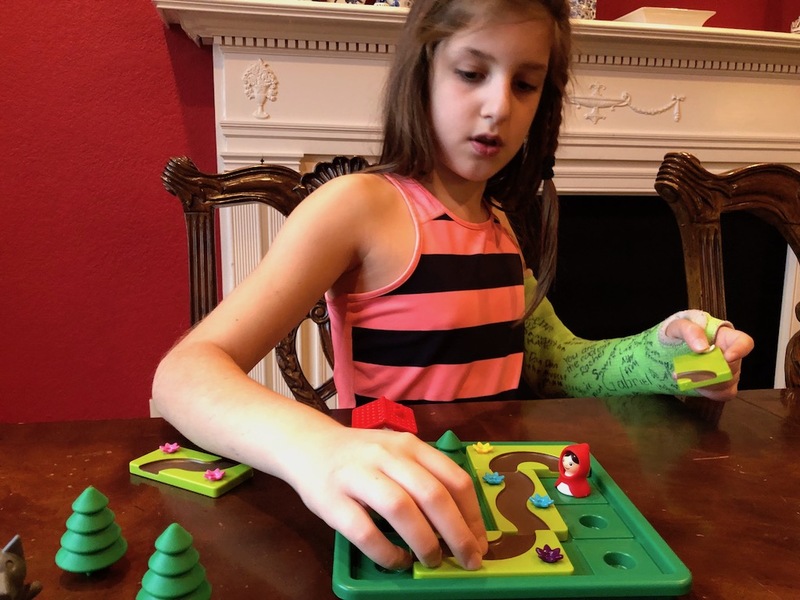 In an age where so much of children’s education and entertainment is taking place on a screen (something studies have shown actually DAMAGES children’s brains), I am grateful for hands-on games and puzzles like Little Red Riding Hood that keep my kids happily occupied and mentally engaged without the use of a digital babysitter. 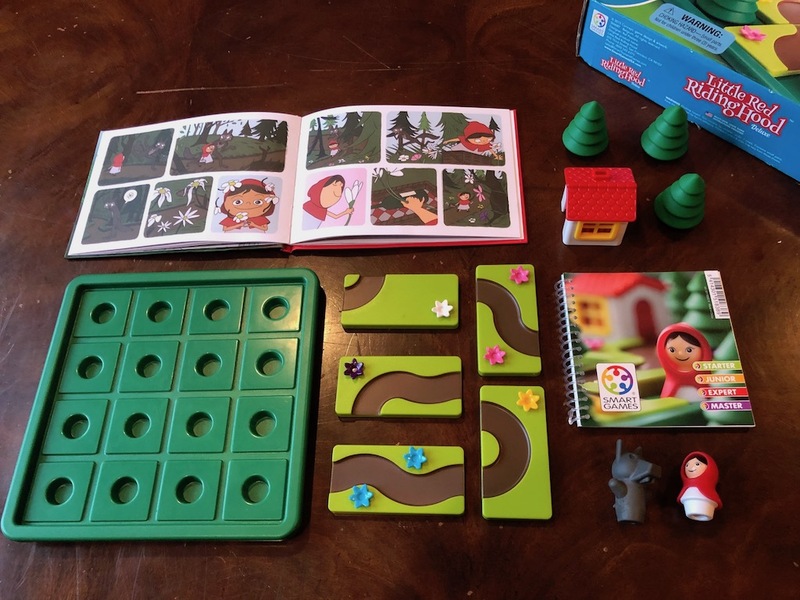 If you have a little one who could benefit from some screen-free learning and play time, I’d highly recommend Little Red Riding Hood. You can order yours through Timberdoodle as a stand-alone product or as part of their Kindergarten Complete Curriculum Kit. I’m so glad you reviewed this! I was looking at it for our 6 year old and couldn’t tell if it was too easy or not. I’m glad to see it’s not, it looks fun and adorable! It (somewhat) reminds me of something they have been playing lately too-IQ twist. Very fun for all ages!! 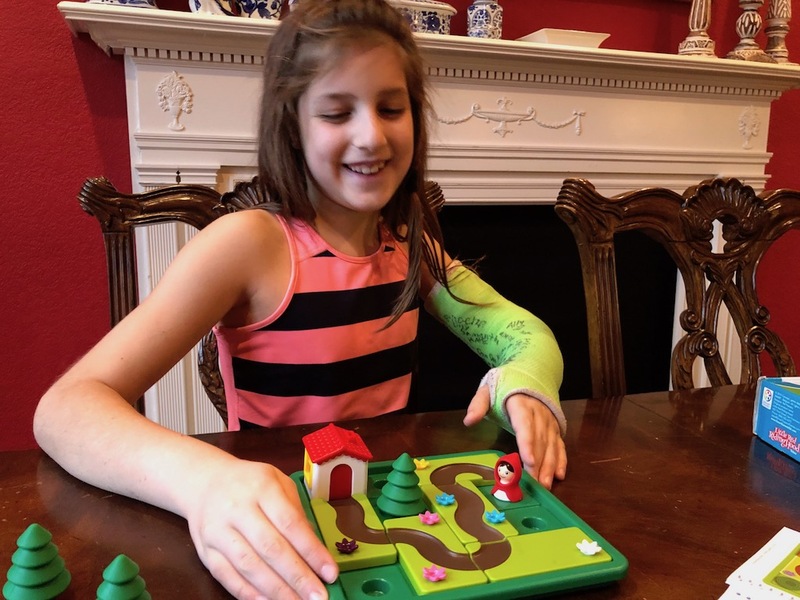 All my little ones — kids and grandkids — have enjoyed playing. It makes me want to get the rest of the games in the series, as well. I know they have a Snow White and the 7 Dwarves themed one. There may be others, as well.